Mirriam is the primary health care provider, midwife, nurse, administrator, counsellor and health champion to 15,000 people in her region in eastern Zambia at Kafumbwe Rural Health Centre, Katete District. She is also married and a mother of three. In 2011, she almost lost her daughter to malaria. She recovered, but the memory still haunts her. She also can’t count the many times she has suffered from malaria. Mirriam sees malaria every day at the clinic. The waiting room – a concrete bench outside the facility that runs the length of the center – is often overflowing with mothers and caregivers with young children, pregnant women and the elderly. In her region, between 20-29% of children under 5 are infected each year. 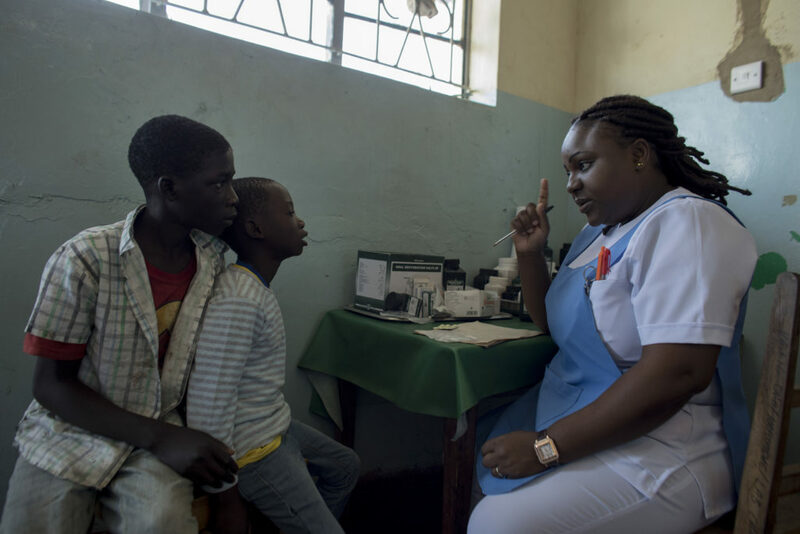 But the availability of high-quality, inexpensive rapid diagnostic tests has transformed the diagnosis and management of malaria in Zambia, allowing for the rapid prescription of life-saving treatment, particularly for children. Mirriam’s clinic distributes insecticide-treated mosquito bed nets, administers preventative treatment for pregnant women and mobilizes the community on indoor residue spraying every year. These nets, diagnostics and medicines are provided by the Global Fund. The Global Fund’s support has also helped to improve and expand health services to rural centres like Mirriam’s with the results of reducing infections and death, including for tuberculosis and HIV. 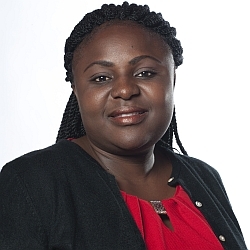 Mirriam has taken part in World Malaria Day activities in the United States, speaking at the UN Foundation/Nothing But Nets’ annual Leadership Summit. She looks forward to inspiring donors to give to the Global Fund so we can end malaria, AIDS and tuberculosis. Since 2006, the Global Fund has distributed 15,600,000 insecticide-treated nets in Zambia.